I have a lot of friends who have opted to be pet parents instead of kid parents. 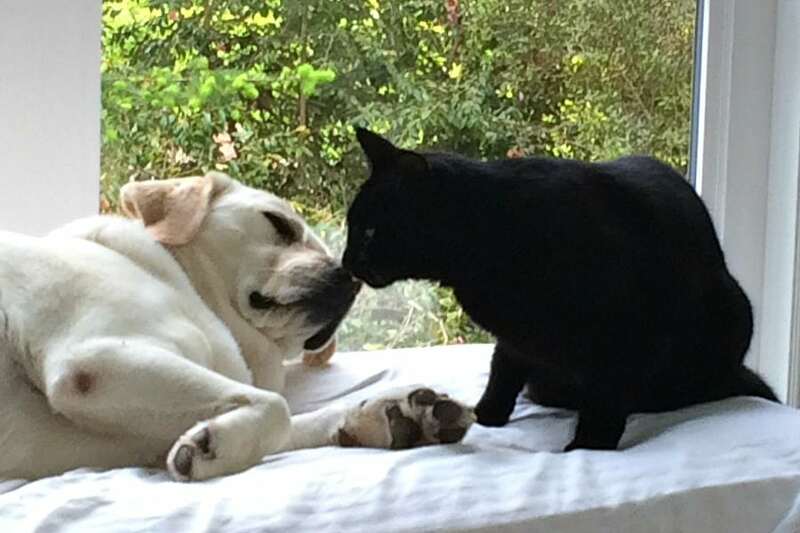 While they know enough not to lambaste me on decisions about breastfeeding or screen time, they always seem to have criticism and advice about how I raise my beloved cat and purebred English Lab. Our dog Piper, in particular, has always been a going concern for the judgy-friend posse. Does she have fleas? She seems overweight. Does she look puffy to me? Am I exercising her properly? Are you reading the latest pet magazines to stay up to date? It is so ironic that I started UrbanMommies to combat the judgement and lack of solid information about pregnancy and parenting, and ten years later I’m in the same situation, but with my pets. I remember many shopping excursions to the United States with my mom—outlet stores filled with clothing and jewelry were thrilling, and buying unique back to school supplies made me feel like I was in a candy store. As I have aged, shopping is still a delight and yet my store preferences have evolved. As a new homeowner I would get excited about tools, and then after my kids were born I visited garden centres and kids’ gear shops more and more frequently. As a super busy Mom and business-owner, I now demand a ton from my shopping experiences. The stores must provide great value, include many items that I need, and allow me to research my purchases digitally. I have honed my passion for shopping and no longer trek south of the border to get my heart palpitating. 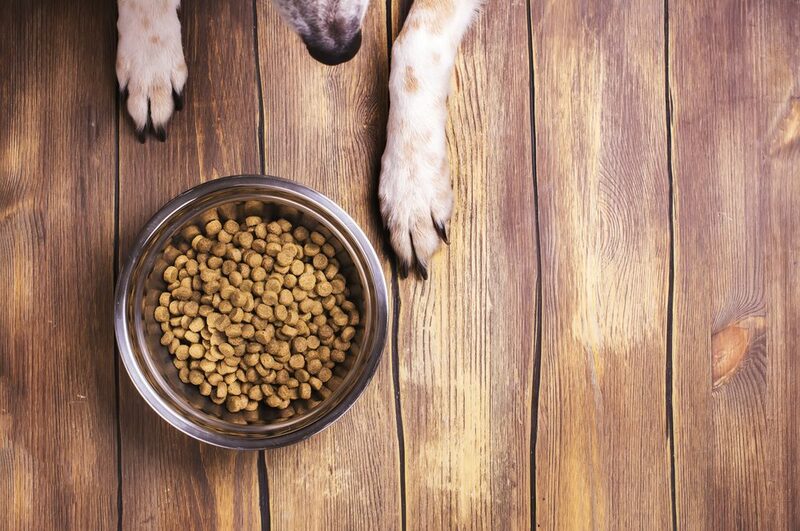 Disclosure: This post is sponsored by No Bite is Right™ and the BlogPaws® Pet Influencer Network™. 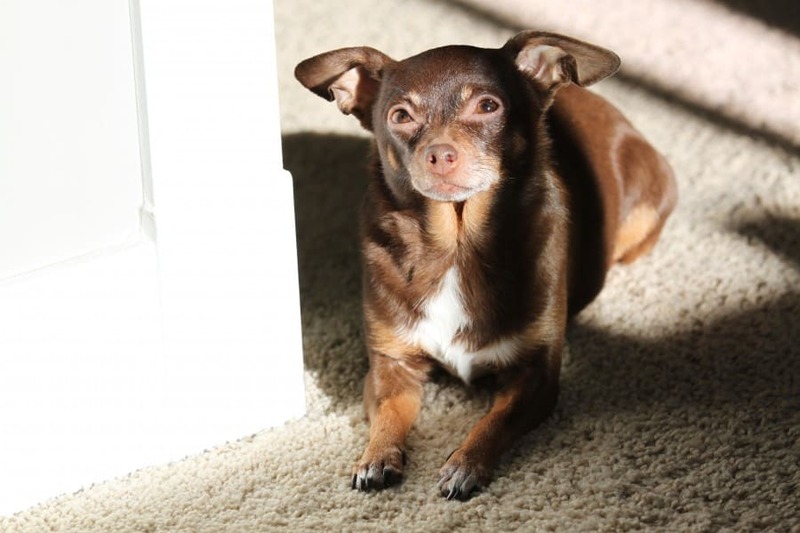 I am being compensated to help create awareness about Summer Safety and Protecting Pets against fleas and ticks but we only share information we feel is relevant to our readers. I am responsible for the contents and not the sponsors mentioned above. There’s a lot of talk in the world about diseases and viruses being spread by mosquitos and other insects, and one of those concerns is actually right here, in Canada, but this time it’s our four-legged friends who are at risk. No flea or tick bite is right for these beloved friends. As a pet owner, at times you may experience great pain regarding your pet. When people post to social media their heartfelt tributes to their pets that have passed away, they affect me so profoundly that I have to quickly scroll by! Owning a pet is like wearing your heart outside your chest everyday. It is part of the beauty, and pain of being a pet-owner. And it can be devastating when your pet is sick. Scarlett Ballantyne is a freelance writer, makeup artist, designer, and business owner. Married with children, she is an active dance-mom of two teenage girls. When she isn’t chauffeuring kids around, she is passionate about photography, cooking healthy meals and Dancing with the Stars. 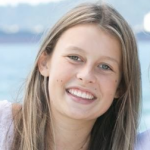 Scarlett’s musings on parenting have been published on Scary Mommy and the Huffington Post Canada. 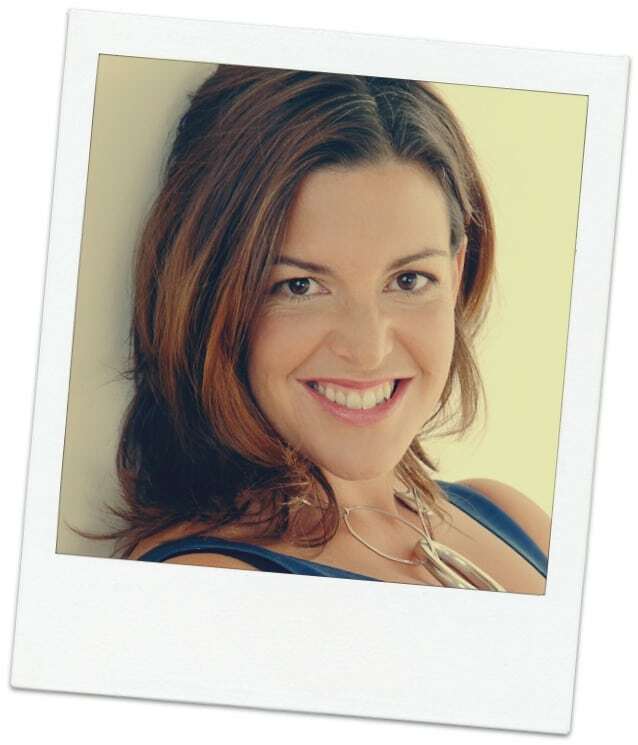 You can also catch her sharing musings, beauty tips, mompreneur advice and photography on her blog, www.scarlettballantyne.com. 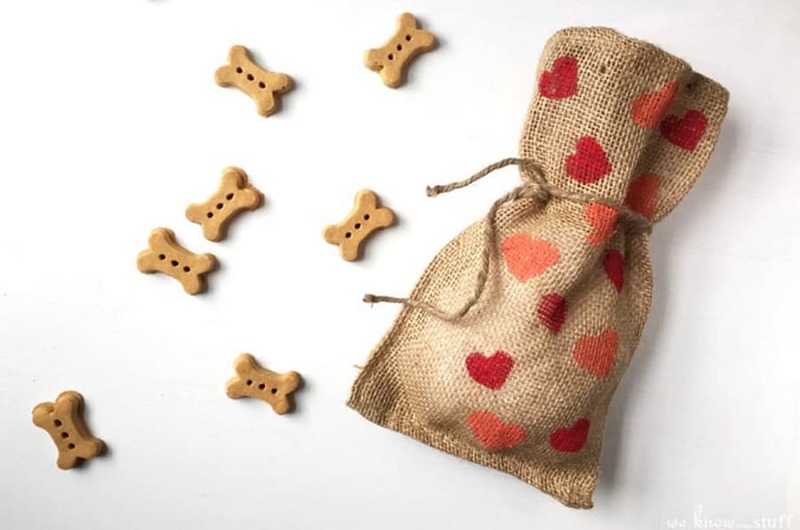 These homemade Valentine heart dog treat bags are the perfect Valentine’s Day gift for the dog in your life. This potato stamp project is an easy and fun kid’s craft. The holidays are upon us, and we spoke with Celebrity Pet Expert Harrison Forbes for a few tips on eliminating stress for our best friends during the busy holiday season. 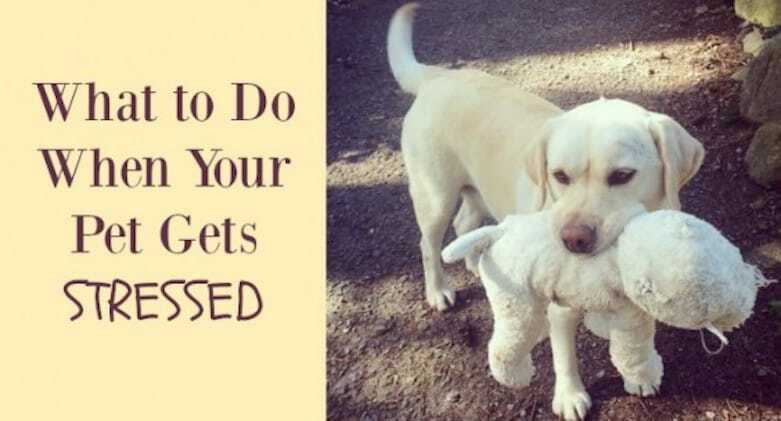 Here are his ideas on eliminating pet stress. Most of us can agree that leading a healthy, fulfilled life is all about balance. We strive to eat nourishing, delicious food, find a form of exercise we enjoy, broaden our horizons through lifelong learning and surround ourselves with people we love and trust. The Canadian family is getting a whole lot furrier with 95 % of Canadian dog owners considering their dogs’ part of their family unit. I certainly love mine! 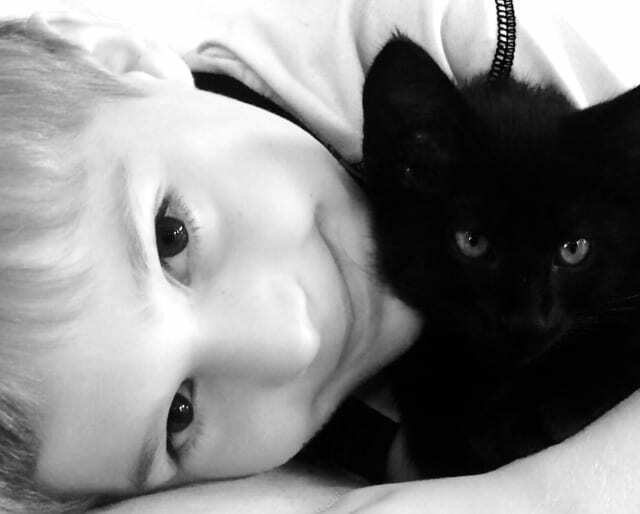 (And we also just adopted a kitten from the SPCA). With summer finally here, our precious dogs face a threat that most owners don’t know enough about – ticks and lyme disease. Only a third (30%) of dog owners protect their dogs from this serious but easily preventable illness. Pout. Three out of 10 surveyed (31 per cent) identify pet dentistry and professional grooming as important for their dogs. Two-thirds (64 per cent) would buy monthly topical treatment to protect their pets from tick bites if the vet recommended it, yet 56 per cent say the vet never talked about the danger posed by ticks. Ticks are a serious problem that your dog could be facing. 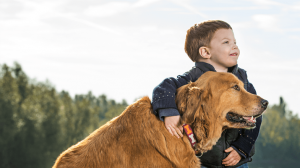 As Bayer knows, your dog is a member of the family and you treat them like one. Thus, they have developed a product to rid your dog of those nasty ticks and get them back to normal in no time. Ticks are tiny bugs that attach themselves to dogs by burying their mouths into the skin and feeding on blood for hours or days before falling off. Ticks are very tiny and their bites are painless so they are often undetected. They come in contact with people or dogs in grassy or wooded areas as they cannot fly. A specific type of tick, the Blacklegged Tick is known to carry many human and animal diseases and is commonly found in North America. Dogs are at a high risk for tick bites because they are often exposed to habitats where ticks live. What is the solution to prevent ticks? Bayer K9 Advantix is a solution designed to protect dogs against external parasites. It kills parasites on contact by attacking their nerve cells and paralyzing them. The solution, kills a variety of species of ticks for up to four weeks each application. Also, it kills fleas on dogs in a time period of 24 hours, continuing to work for up to month afterwards. Lyme Disease is a serious disease that affects both dogs and people. The disease results in many unpleasant symptoms but, it is preventable. An infection resulting from the bacteria Borrelia burgdorferi. Ticks transmit the bacterial infection to humans and dogs. In Europe, Canada and the US it is the most common vector-borne disease. As of 2009, Lyme disease is a nationally reportable disease in Canada. Thus, all cases should be reported to the Public Health Agency of Canada. 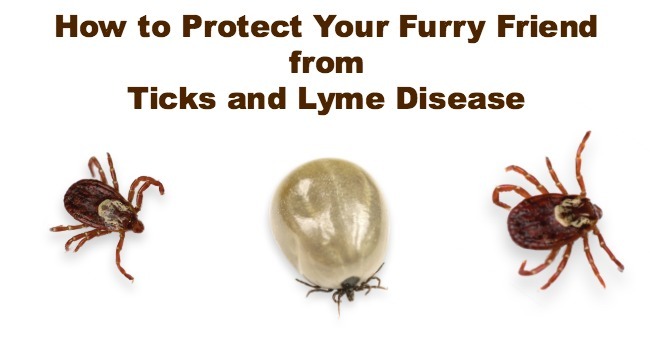 Ticks become infected with the disease when they feed on smaller animals carrying the bacteria. Ticks spread the disease when they come in contact with humans or dogs. The Western Blacklegged Tick and the Blacklegged Tick are common carriers of the disease. The prompt detection and removal of the ticks is key as it takes 24 hours of feeding for a tick to transmit the infection. Rare symptoms reported are heart disease, kidney problems and neurological signs. Fever, headache, chills, fatigue, muscle and joint pain and swollen lymph nodes. If untreated it can last months, even years, and cause severe symptoms such as: arthritis, heart irregularities, and nervous system disorders. Given that my dog just sort of got impounded (it wasn’t my fault)… I thought I should do a shout out to the SPCA! Especially if it’s called National Cupcake Day. 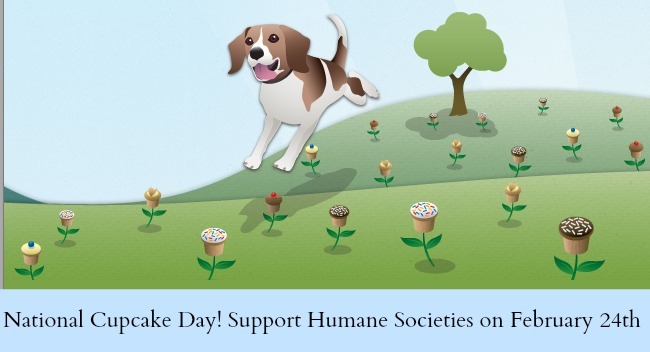 National Cupcake Day on February 24th, is the first-ever collaborative fundraising effort supporting animal welfare societies across Canada. It’s easy and delicious to participate. Register your participation online at: www.nationalcupcakeday.ca; plan a cupcake party at work, home or school; start fundraising by encouraging friends and family to donate online in advance; bake your favourite cupcakes; share them with family and friends; and collect donations to prevent cruelty to animals. All proceeds will support furry friends, big and small, who have been abused or abandoned, or are in need of help. For more details, please visit the website at www.nationalcupcakeday.ca. Pupcake Recipe – for your four-legged friend! Serve up these doggy cupcakes in moderation – we don’t want your poodle addicted to strudel! Preheat your oven to 350°. Spray cupcake tin with cooking spray. Mix wet ingredients thoroughly. Combine dry ingredients in a separate bowl. Add wet ingredients to dry ingredients slowly, scraping well to make sure no dry mixture is left. Pour into cupcake tins. Bake for 30 minutes. Insert a toothpick into the centre and if it comes out dry, they are done. Cool completely and serve. Store in a sealed container. Makes 12-14 cupcakes. March Break is now upon us. Airports and popular destinations will be at their busiest, and you will be too if you’re planning on taking off. 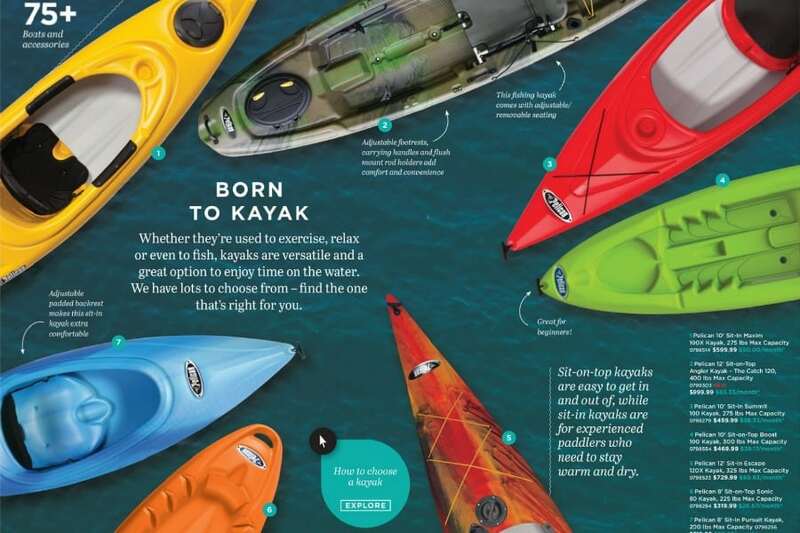 Whether you’re a seasoned traveler or embarking on your first family vacation, if you’re going to maintain any semblance of sanity, you’ll need to remember one (not-so) little thing, and it’s not food or a toy. You’ve tailored your travel arrangements to suit your child’s schedule. You are super-organized, and arrived at the airport with plenty of time to spare.